Arturo Fuente Chateau Fuente Sun Grown is contained within Fuente's world-renowned collection of Gran Reserva cigars. This is, perhaps, the brand that best defines the Arturo Fuente name. Arturo Fuente Sun Grown features vintage Dominican tobaccos throughout the binder and filler (grown on the same farm as the family's ultra-premium OpusX cigars). These aged leaves are then paired with a zesty Ecuadorian sun-grown wrapper, adding spice and balance to the classic nuances of the family's legendary Dominican tobaccos. The end result is a rich and satisfying smoke, offering a medium body and thrilling flavors of cabinet spices, maple syrup, freshly cut cedar, cinnamon, and medium-roast coffee beans. 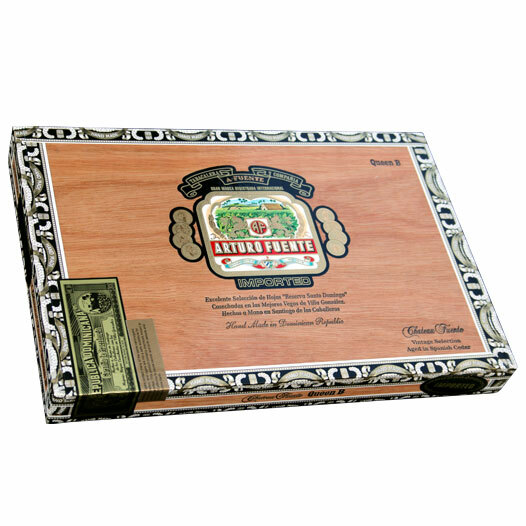 Experience first-hand why the Fuentes have risen to become one of the world's leading families in the realm of premium tobacco artistry. The Arturo Fuente Chateau Fuente Sun Grown is a perfect balance of complexity, dependability, and affordability.